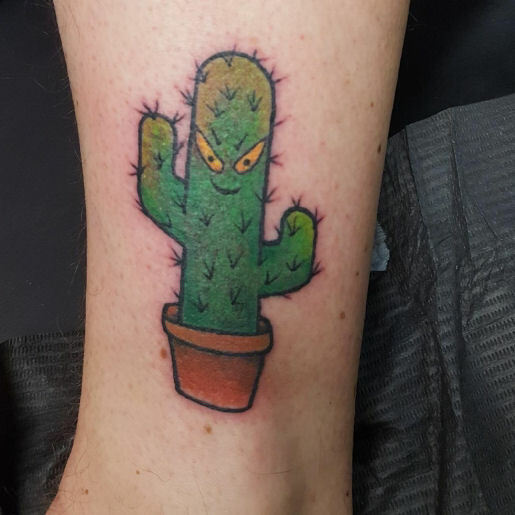 Alex M. got an obey the cactus inspired tattoo recently! Joey C. brings you over an hour of calls to businesses from everyone's favorite albino, Powder. These calls are based on the 1995 blockbuster movie known as Powder. If you haven't seen it, there's a link below to watch it for just $2.99 on YouTube, which is exactly what you would have paid to rent it on VHS in 1996, so it's kind of a bargain when you think about it. When I said me and whatsherface recently watched Powder together, I meant about 5 months ago. That's sort of recent. I'm pointing that out to avoid confusion. SUPPORT THE PLA: Join PLA's Patreon to get extra weekly shows, live show archives, and other occasional perks. Buy a 2017 PLA coin while they last. Get PLA stickers from our Zazzle store. Get PLA t-shirts in our Spreadshirt store or our TeePublic store. You can find other merch on our Bandcamp page and on our own store page. Make a donation, shop on Amazon through us, take a look at PLA's wishlist (or Brad's), or just support us by helping out with promotion and reviews and telling every last person you know about the show. GAME WITH PLA: If you're into the game Rust, play with PLA! We're on isrusty.net, or search for "rust rejects" in server list. If you're into GTA5, join the PLA Radio crew. And if you like wasting half your life away tapping on things in Simpsons Tapped Out, add a few of us PLA addicts, such as rbcp, bradbcp, sunshine_thc, zaxintel, carlitus-x, matthilloc838, and others listed in this thread. PLA FRIENDS AND STAFF: Nik Caesar from scary-art.com is the unofficial PLA artist. Buy PLA designs from Nik's Spreadshirt store and support him on Patreon. You might also like the cactus and PLA designs in Laugh Track Matt's store, and Olga's store. Clownsec does a lot of cool things for PLA so go honk the PLAnet. Watch JIAD's Calls of Mass Confusion and listen to a few of the prank call shows over at Prank Call Nation like Madhouse Live. The last thing I saw before I fell asleep last night was that you put out a new show. So of course it ended up in a dream. In the dream you were too lazy to write show notes and just linked to this page. Congratulations Brad you had them make a pizza for a fake address lol. Magnetic name tags are real he wasn’t joking. I used to work as a sales associate for Adidas they have a piece of metal that goes underneath the shirt and on the back of the name tag there’s a magnet. So you don’t stab yourself lol. Metal frame glasses seemed like a legit concern too. Keep up the shows, your the best!